Let me bring you up to speed about this blog and the journey ahead that will unfold daily from this spot in Trade Only Today. They say time goes by fast when you’re having fun. Well, I must be having a blast because It seems like just yesterday I was wrapping up my last blog from the 2016 Boaterz n Bikerz of America Hull of a Tour — Pacific Coast Rush from Seattle to San Francisco, yet here I am a year later getting ready for yet another fantastic motorcycling and boating extravaganza in New England that launches later this week. A brief backgrounder: Years ago, my former client-turned-biker-and-boating-bud Jim Krueger and I were sharing bucket list dreams over lunch. Jim is totally responsible for my motorcycling addiction. He took me for an amazing ride on his Harley more than 10 years ago and that single event profoundly transformed my life. I fell hard, fast and hopelessly in love with all things motorcycling, and it has become my life’s great passion. I love it for all the same reasons I love boating … the freedom, the fun, the camaraderie, the escape, the sun, the wind … just chalk it up to the great adventure. I love how I feel when I ride. I love that I can do it alone or with friends. When I’m in the saddle with the wind and sun in my face, I feel fully charged and alive in my skin. And I love sharing that passion with others who carry the same DNA. As Jim and I chatted about all the cool places we wanted to ride someday, I thought … why not? Why wait? Why not plan the ultimate escape now and strike while inspiration is burning a hole in my soul! Why not live the dream? As that idea germinated, I envisioned the ultimate ride that would mix biking and boating fun. And heck, I’m a sociable being. Why not share and invite others along? After playing it out in my mind, I took a deep breath and pitched the idea to Jim. Glory hallelujah, he didn’t let me down! We decided to plan a Florida-to-California tour first, and he took on the herculean route-planning and road-captaining tasks while yours truly handled what I do best — the event and hotel planning, communications, promotions, sponsorship and PR. Such was the genesis for what became Boaterz n Bikerz of America Hull of a Tour. Our first event far exceeded my expectations. We launched in Destin, Fla., at Legendary Marine, and over 11 days a band of 30-plus hardy souls covered an amazing string of wondrous sights, cities and states, concluding with the final splashdown in San Diego. It was pure exhilaration for all, from Florida and Mississippi to the flatlands of Texas, to the stirring beauty of New Mexico, where we experienced rain, lightning, hail, thunder and snow within a few hours as we ribboned down the mountain from the lofty heights of Taos. Just thinking about that ride brings back floods of happy memories! We rode the rim of the Grand Canyon, played the slots in Vegas, blistered through the hot Mojave, cruised through Palm Springs and then rode like rock stars down the mountains into California. Our second trip was dubbed The Freedom Ride, a nine-day, East Coast-themed tour that featured historic stops in Gettysburg, Monticello, Annapolis and the nation’s capital, where we folded together as a group into that behemoth known as Rolling Thunder on Memorial Day weekend. It was a powerful ride full of powerful emotions as we rode alongside hundreds of thousands of military veterans who came to honor POWs and MIAs. Unforgettable. Last year, it was the Pacific Coast Rush, a 2,000-mile breathtaking ride down the Pacific Coast Highway from Seattle to San Francisco, with a swing out to Big Sur (still smoking from fires). We visited natural wonders en route, from the majestic glory of Mount Rainier to the sobering reminder of Mount St. Helens to the sublime slopes of Mount Hood, to the shimmering blue depths of Crater Lake in Oregon, to the inspiring giant redwoods in California. Images. Burnished. In my soul. And along the way on every trip, we mixed in magical boating events that made each tour unique and special. Like the fabulous brunch cruise aboard a luxurious 78-foot Ocean Alexander yacht in Seattle hosted by Alexander Marine or the time we took seven Freedom Boat Club boats out from Annapolis and watched a command performance of the Blue Angels. In San Diego our hosts from Southcoast Yachts took us on a fabulous two-hour cruise aboard brand-new Beneteau power and sailboats. Can’t forget the hospitable crew from Marinas International in Dallas, who hosted a sunset cruise aboard a 90-foot party boat on Lake Grapevine. Last year we wrapped our tour with the wind whipping the sails in San Francisco as we boarded a large catamaran and cruised beneath the Golden Gate Bridge and alongside legendary Alcatraz. This year we’re snapping our pinchers and doing The Lobster Roll! It’s a jam-packed week in New England as we cruise through four states with a spectacular Krueger-esque agenda. We’ll twist through the White Mountains of New Hampshire, take an easy ride along the stunning Maine coastline, including Lubec at the Canadian border, Bar Harbor and Boothbay, among others. We’ll ride to Cape Cod, Portsmouth, N.H., and Provincetown, R.I., landing in Newport, R.I., our final destination. A group of Florida riders loaded up our bikes this past weekend via our contracted transport carrier. On Friday we’ll reconnect in Portland, Maine, and offload our babies. Meanwhile, Jim is taking the auto train up and picking up a guy we all love — venerable marine journalist John Wooldridge — who we roped in as our official chase vehicle driver (in case of a breakdown). A few riders are flying in from Ohio, and we’re hoping a few New Englanders will finally commit and ride a day or two. That’s another great thing about the ride —come for an afternoon, a day, a weekend or the full enchilada. We’ve got some really terrific boating activities on tap. We’re kicking off the tour in Naples, Maine, with a breakfast cruise aboard Regal boats, hosted by the great folks at Moose Landing Marina, the largest deckboat and pontoon retailer in the state. We’re going on a whale-watching charter one day and taking a lazy tube float down the Penobscot River on another. Freedom Boat Club in New Hampshire is loading up the crew for an afternoon spin, and Randall Lyons and the Massachusetts Marine Trade Association invited us to take a really fun amphibious duck tour in Cape Cod; can’t wait! Our grand celebration is a sunset dinner cruise in Newport aboard the private charter Amazing Grace, hosted by Freedom Boat Club and its Rhode Island franchise. Speaking of sponsors, we couldn’t do this trip and offer so many fun elements free without the generous support of our sponsors. Freedom Boat Club is back as presenting sponsor for the third year, along with four-time media sponsor Soundings Trade Only and two-time returning platinum sponsor Regal Boats. Newcomers for 2017 include Sea Tow, sponsor of the official chase vehicle and the whale-watching event; power sponsor BRP/Evinrude, host of the great tubing adventure; and boating event sponsors Moose Landing Marina, Freedom Boat Club of New Hampshire, Freedom Boat Club of Rhode Island and the Massachusetts Marine Trades Association. My company, Kenton Smith Marketing, returns as event producer and publicist. I’m personally extending an invitation to you to ride along vicariously. Soundings Trade Only Today will post my blog Monday through Friday next week, and I’ll share fun experiences and photos from the tour. The final post will be on Monday, July 24. Of course, if you’d rather come along for the real deal, email me. It’s not too late! 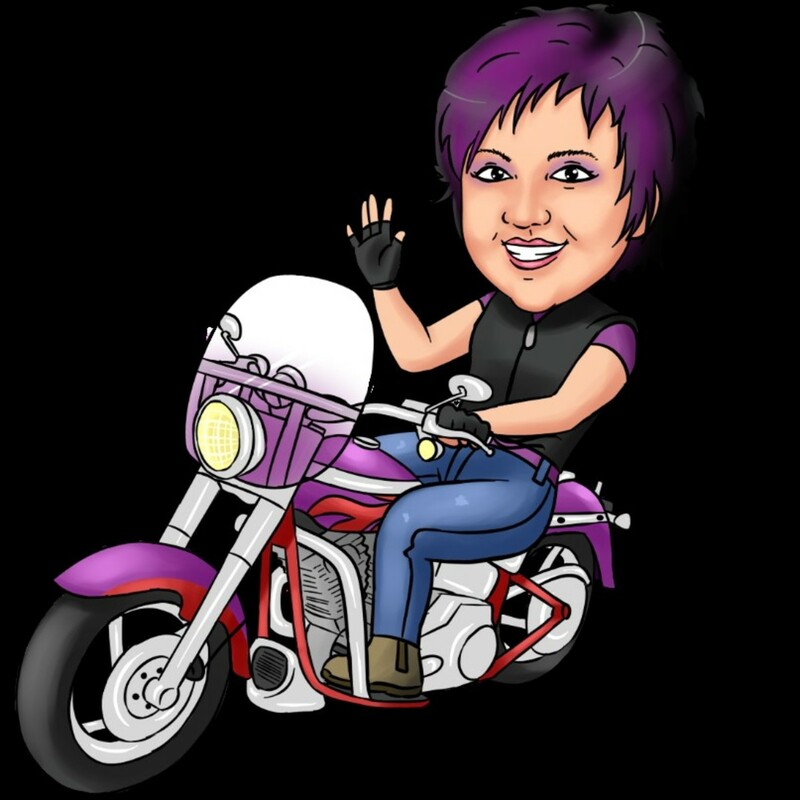 Wanda Kenton Smith is the event producer of Boaterz n Bikerz of America — Hull of a Tour. When she’s not riding her beloved Screaming Eagle CVO Harley Davidson Fat Boy, she’s likely working at Freedom Boat Club as chief marketing officer, writing her bi-monthly marketing column for Soundings Trade Only or coordinating events for Marine Marketers of America or the Recreational Boating Leadership Council’s New Markets Task Force. Info: wanda@kentonsmithmarketing.com or visit www.kentonsmithmarketing.com for the Hull of a Tour tabs.